Ornamental grasses come in a wide range of heights, colors, and textures, making them perfect for any space in the garden, especially the border. Ornamental grasses add a softer, more natural feel to borders. Most are vigorous growers, requiring minimal care. Ornamental grasses also tend to be free of disease and insect pests. Their wispy, graceful foliage adds interesting form and texture to borders. The fine textured grasses, for example, can create dramatic contrast within borders when placed next to other broad-shaped foliage plants and flowers. There are practical reasons for adding ornamental grasses to borders. Warm-season grasses wait until the weather starts warming up and are ideal for filling in spaces after spring bulbs and early-flowering perennials have died back. Cool-season grasses take over once fall blooming has ceased and many remain evergreen throughout winter. There are a number of other reasons to include ornamental grass in the border or landscape. Color – Ornamental grasses also add color and year-round interest to the border. Nothing says color better than the myriad of color variations found in ornamental grasses. 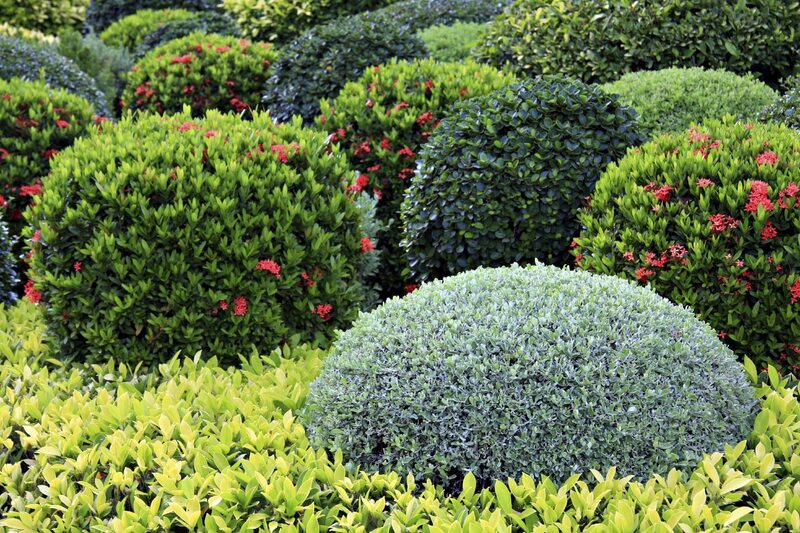 Some are evergreen; some are variegated with gold or white. Some varieties offer shades of blue and silver, while others are tinged in red or purple. Blue fescue is a low-growing, cool-season, clump-forming grass with silvery-blue foliage. Because of its small size, it is most often used as edging or planted in masses as a ground cover. On the other hand, if you’re looking for vibrant color in the border, Japanese blood grass has upright, green foliage flushed with dark red. This vivid red color is at its best in autumn. Seasonal interest – Ornamental grasses also provide borders with unending interest throughout the seasons. While ornamental grasses generally reach their peak during fall, they can also add texture, volume and color to the winter garden. Many late-season grasses develop seed heads after their flowers have faded, and both the seed heads and plumes can add interest throughout winter. Their foliage also turns russet to golden-brown. Berries also ripen in the fall and supply additional color and interest with shades of red, purple and yellow. Various types/sizes – They come in a range of sizes, from dwarf and low-growing grasses to medium and giant-sized grasses. 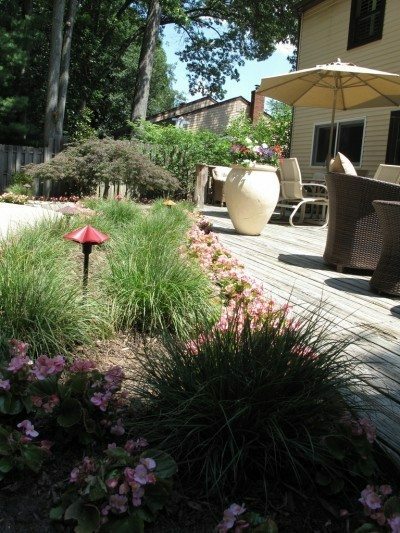 The shorter, low-growing ornamental grasses are most often used as edging. Short grasses can also be used in small groups for a massing effect or in large groups as ground cover. Small clumping grasses, such as dwarf varieties of silver grass, provide a lovely border between plant beds and walkways while small spreading grasses, such as ribbon grass, make an excellent ground cover. Mid-size grasses are used for vertical height and textures. Fountain grass, for instance, is a mid-size, warm-season, clump-forming grass that exhibits graceful, arching growth. In mid to late summer, fountain grass bears bottlebrush spikes, and its bright green foliage turns golden brown in the fall. Because of its medium size and graceful appearance, this ornamental grass makes an excellent border plant. Medium grasses can also be used as accents among herbaceous perennials and shrubs as well as define border areas. The taller grasses are normally used to provide structure or a backbone for borders. These plants also make good accent plants among other border plants. When choosing ornamental grasses for borders, you should become familiar with their growing requirements as well as their characteristics. For instance, some spread vigorously; others form neat clumps. Forms of ornamental grass that creep or self-sow can eventually become troublesome later on in the border, whereas those that form clumps or spread much slower make far better choices for the border. Most ornamental grasses adapt easily to the same growing conditions that typical border plants require, such as well-drained soil. Most ornamental grasses are well suited to full sun, but many varieties also thrive in shade. Some grasses can even be integrated into bog or water gardens, while others prefer heat, thriving in drought-like conditions. 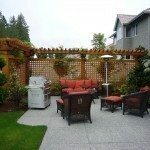 Ornamental grasses are a diverse group of landscaping plants that can fit into nearly any garden style and make any type of border their home.